Weather Forecasts for Walt Disney World, MGM Studios Weather, Universal Studios Weather, Sea World Weather, Bush Gardens, Islands of Adventure, Lowry Park Zoo, Sun Splash Family Water Park. Sunny, with a high near 87. East southeast wind around 5 mph. Mostly sunny, with a high near 88. Light southeast wind becoming south 5 to 10 mph in the morning. Mostly cloudy, with a low around 67. South southwest wind around 5 mph. A chance of showers, then showers likely and possibly a thunderstorm after noon. Mostly cloudy, with a high near 84. South wind 10 to 15 mph, with gusts as high as 20 mph. Chance of precipitation is 70%. A 20 percent chance of showers before midnight. Partly cloudy, with a low around 65. West wind 5 to 15 mph. Sunny, with a high near 84. North wind around 5 mph becoming east in the afternoon. Mostly clear, with a low around 66. East wind around 5 mph. A 20 percent chance of showers. Mostly sunny, with a high near 86. East southeast wind around 5 mph becoming calm. Partly cloudy, with a low around 66. Calm wind. Mostly clear, with a low around 67. East wind around 5 mph. Forecast from NOAA-NWS for 2 Miles NNW Bay Lake FL. 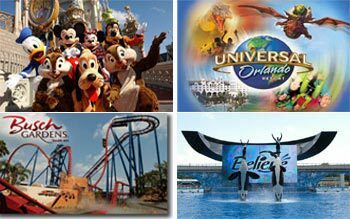 Weather Forecasts for Disney World, Universal Studios Weather, MGM Studios Weather, Sea World Weather, Bush Gardens Weather, Islands of Adventure weather, Lowry Park Zoo Weather and Sun Splash Family Water Park.